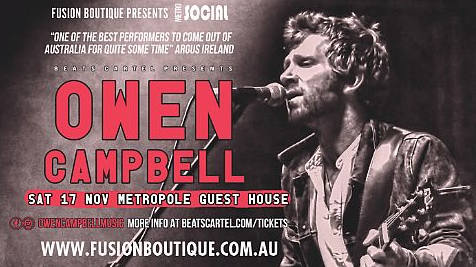 Owen Campbell is one of Australia’s premiere Blues/Roots/Rock performers who defies easy categorisation. He’s a slide guitarist, a songwriter, banjo player, blues singer, busker, and more. Known for his controversial appearance on Austalia’s Got Talent and constant touring and busking around the World.